We help unlock potential, because that’s what matters to us. 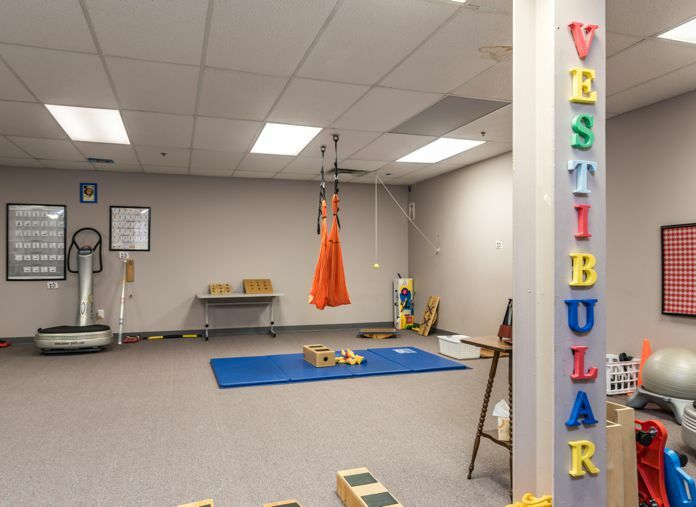 Minds-In-Motion® provides help to those with challenges in their learning, behavior, movement, speech, and play by strengthening and balancing the vestibular systemvestibular systemThe sensory system that provides the leading contribution to balance and spatial orientation for the purpose of coordinating movement. Our research-validated program is designed to stimulate visual processing, auditory processing, and motor skills. The outcome? A better integrated and balanced individual who performs better in school, in a job, or at home. Development specialists work closely with individuals as they engage in hands-on group learning and explore four rooms, each dedicated to nurturing a different skill set. This room is a hallmark of our program! Within this room the use of proprietary high-tech equipment stimulates and strengthens: the sense of balance, muscle tonality, bone density, rhythmic and timing movements, auditory perception, visual tracking and focus, one's center of gravity. 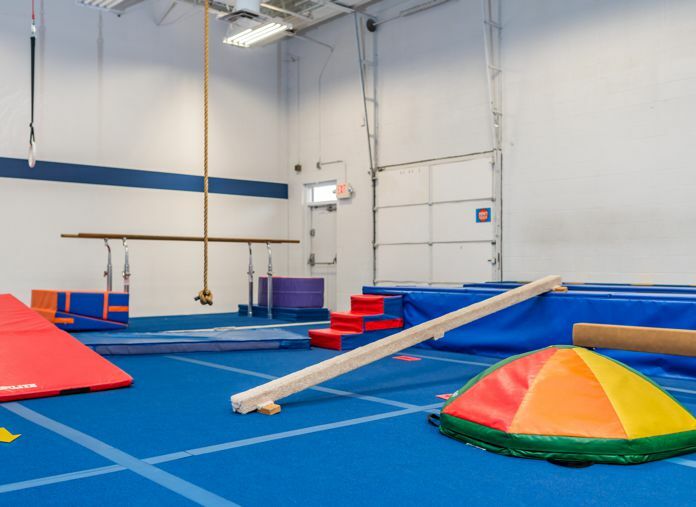 The myriad balancing activities in this room: develop full-body coordination, increase auditory discrimination, expand visual-focused attention, cultivate precise balance, build up cognitive processing speeds. 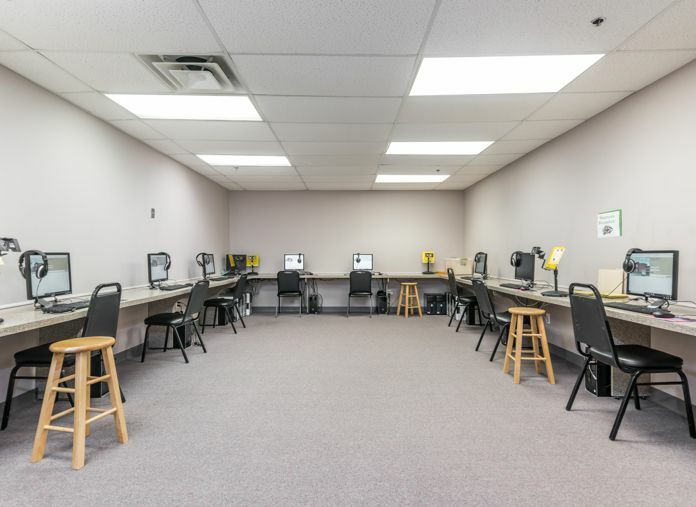 This lab houses the Academy of Reading and the Academy of Math, both award-winning academic intervention solutions. Based on neuro-science research and more than 30 years of classroom efficacy for thousands of students, these computer programs provide a rich set of web-based tools for intensive training in reading and in math. These programs work hand-in-glove with our Minds-in-Motion protocols to develop automaticity of skills in the brain. 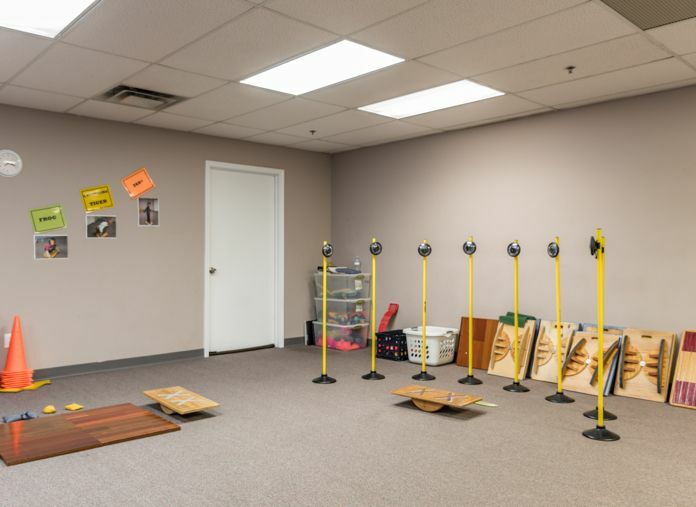 Our Developmental Gymnasium helps each student: build gross motor skills, develop core muscles, build gravitational security, work on brain / body laterality, increase motor planning abilities, develop enriched auditory processing, and so much more!